FreezeStat/High-Temp Limit Sensor Board - Micro-Air, Inc. The FreezeStat/High-Temp Limit Sensor board is the perfect companion to the Hydromatic I Chiller Control board. Used with a standard Water Temperature Sensor ( SUB-056) and an external 12-24V AC or DC power supply, it protects the chiller from potentially damaging low or high loop water temperatures. 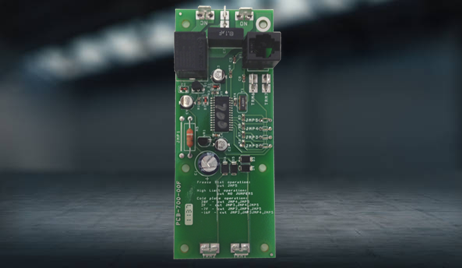 The FreezeStat/High-Temp Limit Sensor board can also be used to control a refrigeration system that uses a cold plate (providing localized cooling of power electronics) or standard evaporator.